2016 Audi A8 L WITH 20,557 MILES. 1-OWNER, NO ACCIDENT CARFAX WITH SERVICE HISTORY. THIS AUDI COMES LOADED WITH LEATHER, PANORAMIC SUNROOF, NAVIGATION, BACKUP CAMERA, BOSE AUDIO, BLIND SPOT MONITORING, HEATED AND VENTILATED MASSAGE FRONT SEATS, 20 INCH WHEELS AND MUCH MORE! 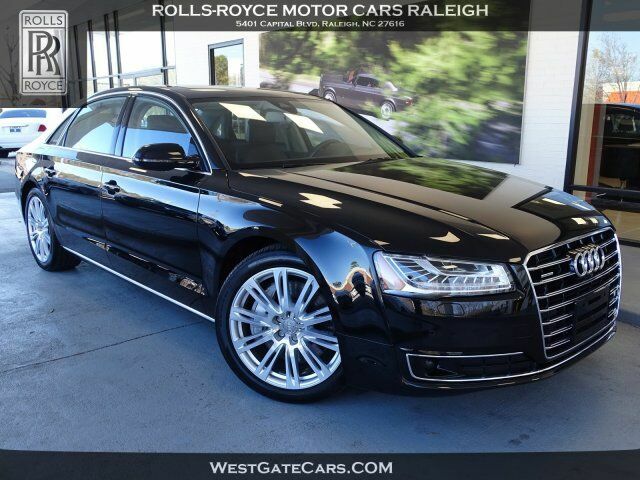 COME SEE THIS AUDI AND MANY MORE AT ROLLS ROYCE MOTOR CARS RALEIGH! !